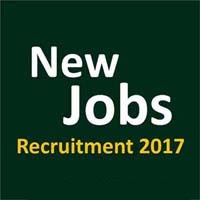 Madhya Gujarat Vij Company Limited (MGVCL) has published Advertisement for below mentioned Posts 2017. Other details like age limit, educational qualification, selection process, application fee and how to apply are given below. Essential : SSC passed or equivalent examination of Indian Armed Forces passed. Minimum experience of 05 (five) years in Army, Navy, Air force, Paramilitary forces or Police force. The applicant has to pay application fees in any of the Branches of State Bank of India or online through Credit Card / Debit Card / Net Banking. Bank charges of Rs. 60 /- shall be paid by the applicant to the bank. Application fee once paid will not be refunded on any circumstances. : ONLINE APPLICATION NO._______” to the following address.